I always knew that I wanted to be a high school teacher since I was very young. I have had so many great teachers and I became really interested in giving back — helping to shape the youth that are coming through high school. Being a teacher that I know the kids need. That’s what drives me. 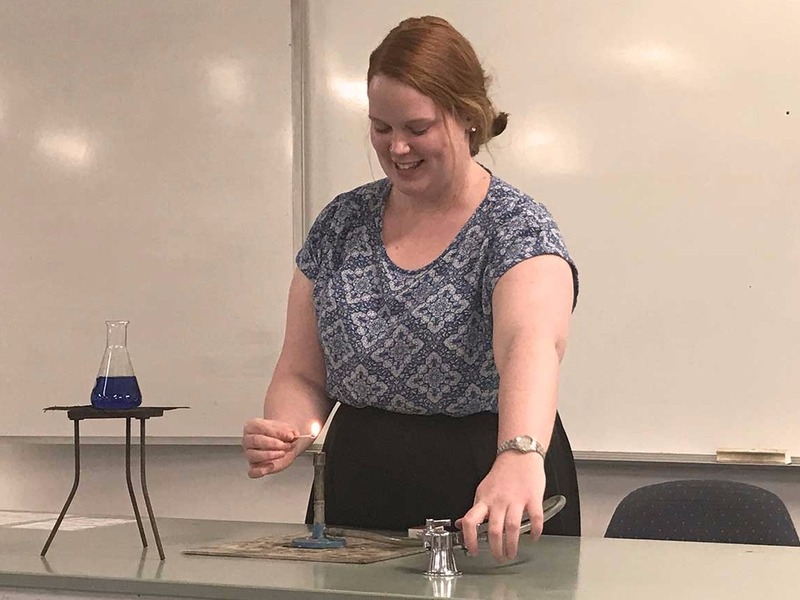 I chose JCU because within the Bachelor of Education (Secondary) we started pracs in our first year as opposed to other universities, where you start your prac in third year. This meant that I knew very early on in my degree that I wanted to stay and that education was for me. Studying in North Queensland and at JCU was great. There were so many connections with very diverse schools, and connections with staff and teachers who have worked remotely previously. It was really interesting getting prac work where it was a little more challenging and I was fortunate to have access and talk to these contacts with experience in remote communities. I was taught what to expect, I was trained in Indigenous education — how they learn and how I can support them. I had great lecturers and tutors throughout my degree who were very up to date with what was happening in the field of Education. They were very hands on and due to the small class sizes, I was able to develop great relationships with them. This really helped me when I transitioned into the workforce. I felt like I could ask them to be a personal reference or ask for advice on building my resume. I have always been motivated to make a change and a difference. My goal is to be an instigator of that change. I believe we must understand that if someone is different, that is actually something to be valued rather that something to be pushed aside. It’s important that all teachers understand that everything we do in the classroom ensures that a kid does not leave feeling disadvantaged or let down. Everyone needs to feel valued and have an understanding that they can access learning opportunities at the same level as their peers. JCU has given me the practical opportunities that I needed to transition into employment and it’s for this reason that I feel very fortunate. I really enjoy that I’m giving back and doing everything I can to make improvements and see change.